Nineteen legislators of Tamil Nadu's ruling AIADMK met the state's Governor this morning and requested that E Palaniswami be removed as Chief Minister as he has lost their confidence. They have called yesterday's merger between the two factions led by Mr Palaniswami and O Panneerselvam illegal and are opposed to the decision to throw out party chief VK Sasikala, who is in jail. Each of the MLAs - being led by by Ms Sasikala's nephew TTV Dhinakaran, who she had appointed as the AIADMK's number 2 - has submitted an identical letter to Governor CH Vidyasagar Rao, asking him to "intervene and institute the constitutional process as constitutional head of the state." 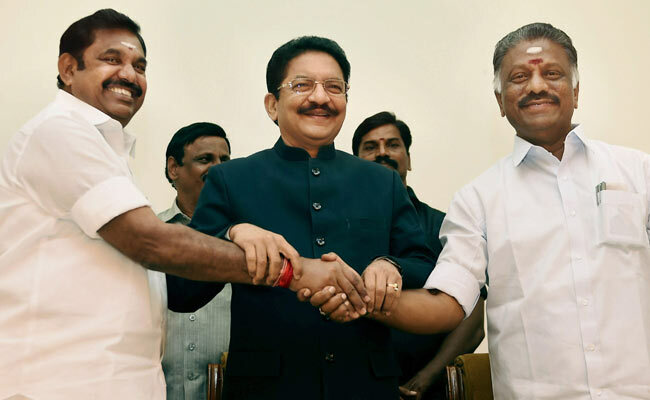 They have alleged that by merging with a faction that voted against him in a trust vote in the assembly only six months ago, Chief Minister Palaniswami has "forfeited the confidence of the people... I hereby express my lack of confidence on Mr Edapadi. K. Palanisamy. As such I withdraw my earlier support given to him vide this communication." 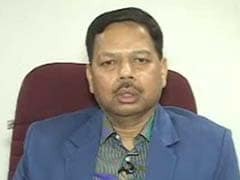 The MLA's have stressed that they are not giving up their membership of the AIADMK. After yesterday's merger, the AIADMK has 134 legislators in the 234-member assembly. That is only 17 more than the 117 needed for a majority. With 19 MLAs rebelling, Chief Minister Palaniswami could be in trouble if he has to face a no-confidence motion. TTV Dhinakaran, who is not an MLA, did not accompany the rebel legislators to meet the Governor. In a series of tweets last night he vowed to "weed out betrayers" seen to refer to E Palaniswami, or EPS, whose accession to the top post was arranged in February this year by Ms Sasikala before she left Chennai for the Bengaluru prison where she is lodged in a corruption case. She had also appointed her nephew as her deputy in the party then. The AIADMK had split weeks after the death of its powerful chief J Jayalalithaa, who died as chief minister in December last year. The two factions had been working on the merger for months and finally came together yesterday, with EPS and OPS shaking hands and making a joint announcement. The expulsion of Ms Sasikala was a key demand of the OPS camp. Under the merger agreement, OPS, who was forced by Ms Sasikala to step down as chief minister in February this year, has settled for the role of deputy to EPS the man who worked under him as a minister months ago. Soon after the pro-Sasikala legislators met the Governor, senior leader of the AIADMK and member of Parliament V Maitrayan too met him, describing it as a "courtesy call."